Alzheimer’s Disease causes irreversible brain degeneration, taking with it the thinking skills and memories that people hold dear. At the OHSU Layton Aging and Alzheimer’s Disease Center, scientists work to uncover the causes of and develop treatments for this debilitating disease. 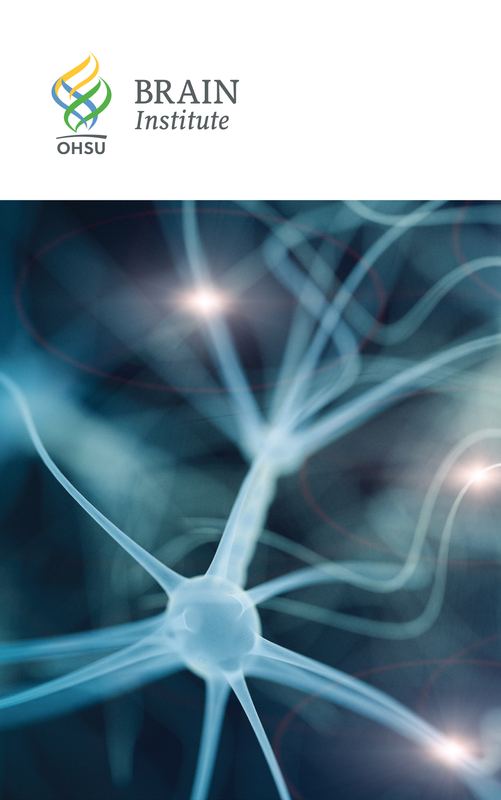 Last year, a $200,000 grant from the John L. Luvaas Fund of the Oregon Community Foundation (OCF) made it possible for OHSU researchers to scan the brains of clinic patients. 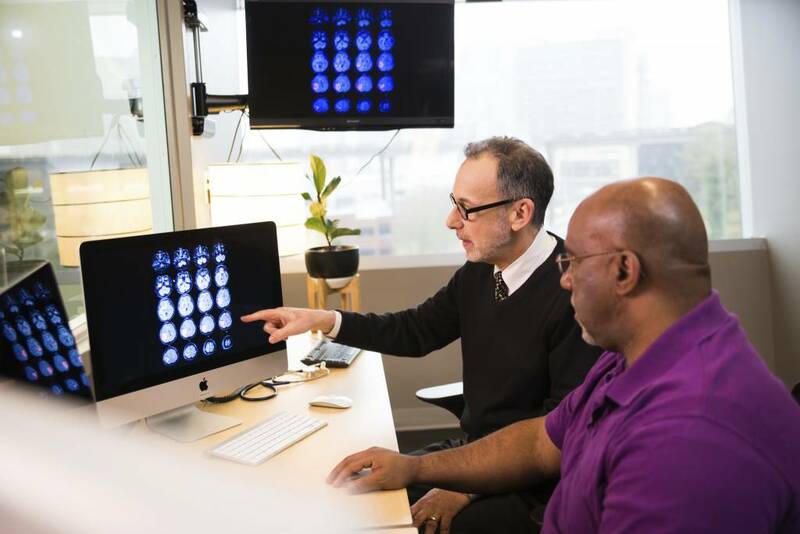 A team led by neurologists Lisa Silbert, M.D., and Jeffrey Kaye, M.D., will use the scans to draw correlations between those brain images and real-world data that the center gathers about patients in their homes, including on sleep patterns and movement. This work will then provide the foundation for a new study. Dr. Jeffrey Kaye consults with a patient in his office. Dr. Kaye’s research into Alzheimer’s disease is aided by a new grant from the Luvaas family. The Luvaas family’s imprint in local history remains today. Rev. Peter Luvaas moved his family to Oregon from Idaho in 1930, and started the Central Lutheran Church. His son John Luvaas formed the law firm Luvaas Cobb with his colleagues in 1955. Luvaas worked at the law firm for more than 50 years, until he began showing signs of memory loss. His eating and sleeping patterns changed. He began to forget information related to his work. John Luvaas was diagnosed with the disease at age 70, and lived with it for nearly 20 years. Kaye’s research includes brain scans that feature a molecule labeled with a tiny bit of radioactivity that hooks onto Alzheimer’s pathologies in the brain, making it possible to detect the disease in living people and better understand early indicators. The research will provide data essential for the Layton Center to leverage federal funding, supporting additional research, collaboration and development of treatments. Today, more than 5.7 million Americans are living with Alzheimer’s. The Layton Center’s internationally renowned research program started in 1990, and is one of only 31 in the U.S. to be designated by the National Institute on Aging. How you can support Alzheimer’s research? Learn more about ways you can help or donate directly through OHSU Foundation. Natasha Spoden is the Senior Research Assistant Layton Aging & Alzheimer's Disease Center at OHSU. Yes, On my mother’s side of the family is a history of Alzheimer’s Disease. Her brother and his wife both had Alzheimer’s and now their daughter my cousin Sandy is in a Alzheimer’s group home. I would like to have the head scan of my brain as I am of 75 years and I have always worried that it could be me.